She has been performing since she was four, but her career launched at 16 when she licensed 6 songs to MTV reality show Snooki & JWow. She then released her self-written song "Unstoppable,” sang the national anthem to open the NBC Skate & Gymnastics Spectacular in 2012, was nominated for the 12th Annual Independent Music Awards in the pop category, penned an award winning pop-culture column for Fashion United (a fashion premier trade publication), and just licensed her song "Danja" to the soon released motion picture, The Romans, with her debut single released this Summer. A new pop-princess has arrived! And her name is… BRIELLE ®! She has been in the studio working with Grammy award winning producers Ken Lewis (Bruno Mars, Alicia Keys, Kanye West, Eminem), Femdouble (Tupac, T-pain, E-40, TQ), and Grammy beat-builder Gnyus (Dr. Dre, Swizz Beatz) among others, to complete her debut LP. I caught up with the electric and beautiful singer songwriter Brielle®, who is busy making her dream a reality to chat music, business and style. How did you get started? Tell us about the journey? I literally have been singing since before I could talk, but I started dancing at the age of two and performing in musicals at the age of four. So my whole life, I have always been dancing, singing, and acting, but I started writing my own music at the age of fourteen and I started recording when I was fifteen. Since then, I have written over sixty or seventy songs. I put out an EP of six songs when I was sixteen and have had a few single releases since then. I am now getting ready to put out my first album "Ready for War" of which "Avalanche" and "Catch a Star for You" are the first singles. I'm really excited to release the whole album because I am deeply passionate about every one of the songs on it and I can't wait to share them with the world. 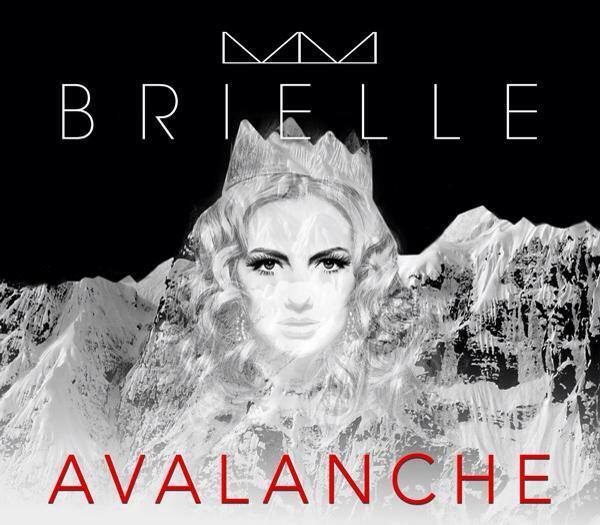 Is there a meaning behind the name Brielle? In Irish, it means duchess. If your music was a person how would you describe it? At first glance, my music would be a powerful and intelligent woman who would never take no for an answer. She would thrive on high-energy EDM music who she would end up married to (as long as music is being considered a human being, EDM is going to be a guy), but when everyone's back is turned, she would be the laid back emotionally-centered introvert that wants nothing but to never stop singing. What is the one challenge you've faced so far as a female and teenager in entertainment? As a female and a teenager, I have found that it is harder to be taken serious with people upon first meeting them. Once people see that I am extremely hard working and I am not in the entertainment business for any kind of fame, but solely in it for the love and passion of music, then they start to treat me more like a musician and not just some girl who likes to sing. What inspires you? Everything around me inspires me from personal relationships to the events I read about in the world, to fashion and design, and the books I read. Inspiration can occur from the most unlikely places. What is the biggest lesson you've learned? Hmm.... I tend to want to know every detail about everything. I am always reading and researching about anything that peaks my interest, and I am especially fascinated with the human psyche and psychology in general. The largest lesson I think I have learned, is that I will never be able to understand everything: "who, what, when, where, why, and how". We are not meant to understand everything and we have to continue to live our lives without knowing all the answers- regardless of what the questions are. Who is your style icon? I am obsessed with Daphne Guinness. Her look, style, attitude, and aesthetic are perfection. Tell us what projects you're currently working on? I never stop writing, so I have a few songs that I am working on, but I am also in the process of editing and finishing up the "Avalanche" music video which is coming out this September 1st! When you're not working on your music, how do you spend your time? When I am not writing, practicing, or recording, I'm designing. I go to the Fashion Institute of Technology for fashion design. Music and fashion go hand-in-hand. Fashion visually inspires what I do with my music and my music is the auditory inspiration for what I design! What advice do you have for women, especially young ladies who are trying to break into the industry? Be patient. Anything worth having is worth working for and you get out exactly what you put in, so nothing worthwhile will ever come quick and easy. You have to be willing to wait until you think you can't take it any longer, and then you have to wait some more. Timing is everything and that can sometimes be the most difficult thing about any industry. I'm not very tech savvy, but I suppose my iPhone is my saving grace. A good black stiletto. When in doubt, it'll go with everything. I had a pair that I wore so much they ended up breaking in half! I'm currently on the search for a new perfect pair. Kate Somerville oil-free moisturizer. I put it on every morning and every night and it makes my face feel so smooth. I'm obsessed with it!